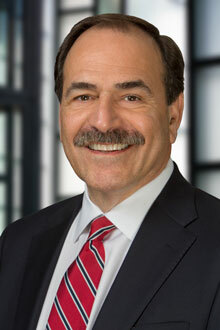 Michael G. Descalso is a partner in the San Francisco office of Lewis Brisbois and a member of the General Liability Practice. He has practiced solely in the field of litigation for the entirety of his thirty-plus year career. He specializes in general liability matters, including personal injury and commercial litigation, having defended his clients from multi-million dollar claims arising out of construction injuries, catastrophic injuries, wrongful death, breach of contract, professional errors and omissions, habitability and other landlord tenant issues. Mike has also represented clients in pursuit of claims, including personal injury, breach of contract and claims arising out of California's consumer protection statutes. Mike is a trial lawyer. He understands that his clients' interests always come first, and often those needs require settling lawsuits. But when necessary, he is always ready and willing to take a case into the courtroom. Over the years he has had tremendous success in the courtroom, having brought more than forty jury trials to judgment, including outright defense verdicts for his defendant clients and multi-million dollar verdicts for his plaintiff clients. In addition to his trial work, Mike also has handled hundreds of complex arbitrations and mediations. He is a problem solver and consistently gets the best possible outcome for his clients. Mike is recognized as an expert in his field, having been chosen regularly as a Northern California Super Lawyer (elected by his peers as being in the top 5% of trial practitioners). He is board certified in civil trial advocacy by the National Board of Trial Advocacy and is a member of the San Francisco chapter of the American Board of Trial Advocates (ABOTA). For the past twenty years he has received pre-eminent status (AV) from the lawyer profiling service of Martindale Hubbell, placing him in the highest level of both ethical and technical proficiency. This is particularly prestigious as this selection comes from one's peers - lawyers and judges. Mike is also active in education. He coaches the Saint Francis High School Mock Trial team, which regularly makes the playoffs in the annual Santa Clara County Mock Trial Tournament. In 2002 Mike was elected to the board of directors of the Association of Defense Counsel of Northern California and Nevada, a position he held through 2008. He is also active in local bar associations and is very active in community service through Saint Pius Church in Redwood City.